EMT Certification in Maine can be obtained by those who have successfully completed national level certification. One category of EMT in Maine requires the candidate to pass state level exams instead of the national certification exams. Emergency Medical Technicians (EMT) handle medical emergencies such as when a patient suffers from trauma, cardiac troubles, accidents, injuries, complications related to illness etc. before the patient is admitted to a medical facility. Certification is a national level authorization while license is a state level permit, although both terms are taken to mean the same in common discourse. Such approvals are necessary to ensure that these delicate situations are handled by trained professionals only. 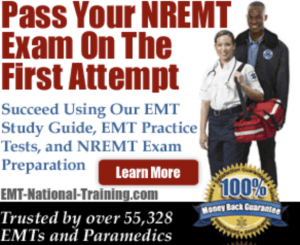 National level certifications for EMTs are issued by the NREMT. The usual procedure for obtaining a state level license is this: complete an entry level EMT course, obtain NREMT certification, and then apply for state level license. Five levels of EMTs are certified by the NREMT and each of these is valid for two years at a time. The entry level course has to be approved by the respective state government and the U.S. Department of Transportation EMT – Basic National Standard Curriculum. Applications for NREMT certification have to be filed within two years (generally) of completion of such course. Certification exams involve the cognitive exam that tests the theoretical correctness of the candidate and the psychomotor exam that checks the ability of the candidate to act appropriately during medical emergencies. The cognitive exam consists of 70 to 120 questions, for the EMT Basic certification, that have to be answered within two hours on a computer. Questions are related to cardiology, EMS operations, oxygenation, ventilation and related areas. Psychomotor exam deals with handling of patients suffering from trauma, bleeding, cardiac troubles, injuries, accidents etc. A great number of public and private owned websites provide preparation material for national certification. Two of these are particularly noteworthy viz. EMT Practice Test and EMT Achieve, both by Brady Publishers. EMT Practice Test is part of an online guide composed by various authors and the online practice tests are immediately assessed. The EMT Achieve is a totally fresh learning technique that provides study notes studded with illustrations, videos, animations ad pictures for better understanding. Again, its online practice tests provide assessments with comprehensive explanations making this a valid source for similar state level exams also. Licenses are issued after checking the educational and practical credentials along with a review of the criminal background of the candidate, if any.